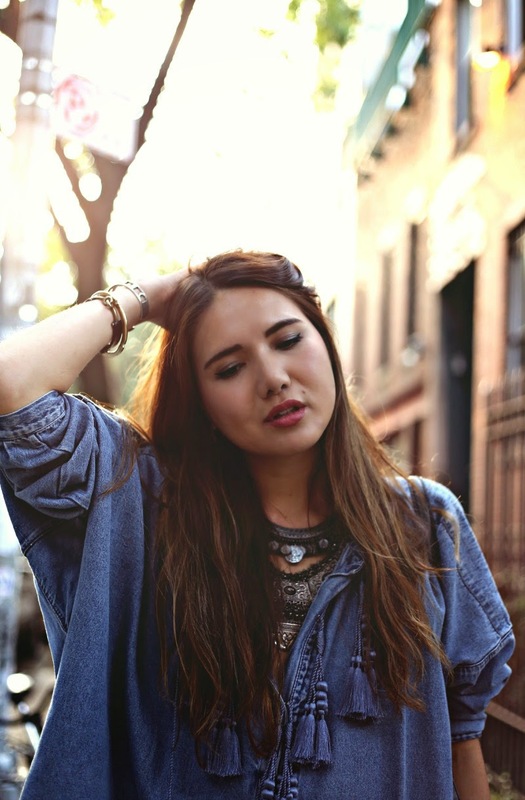 You look gorgeous in this boho outfit! 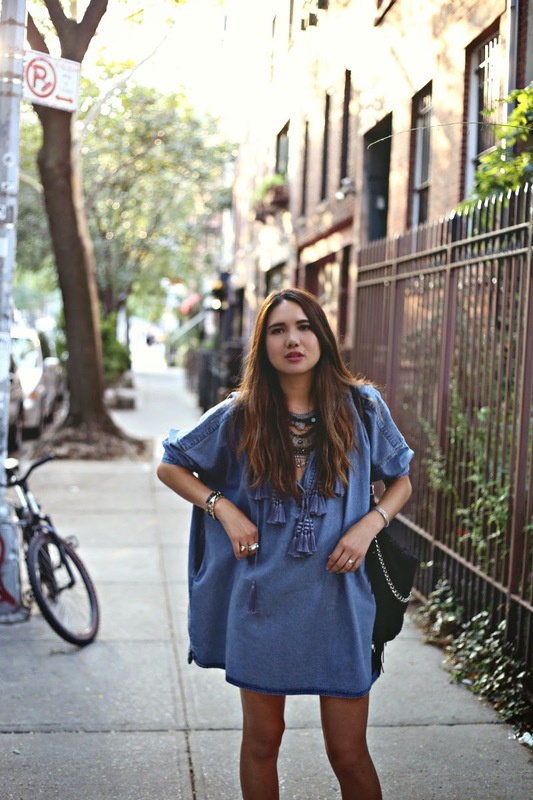 Such a beautiful denim dress, these tassels make it so unique! Awesome outfit! 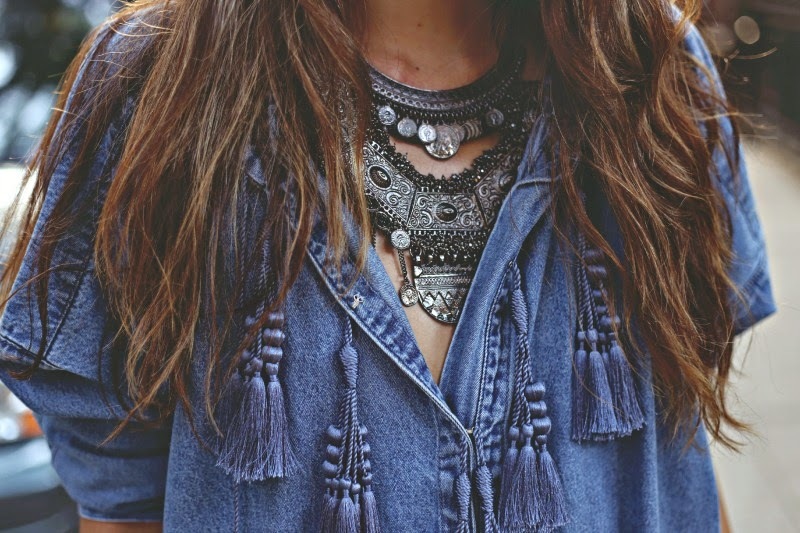 Love the necklaces you paired with the denim dress. Love the dress , this look is so cool! abslolutely love this look, the denim dress is amazing! The this dress! You styled it perfectly with the necklace and those sandals! I just bought a denim dress and this has me excited to wear it! I love your hair and jewelry!